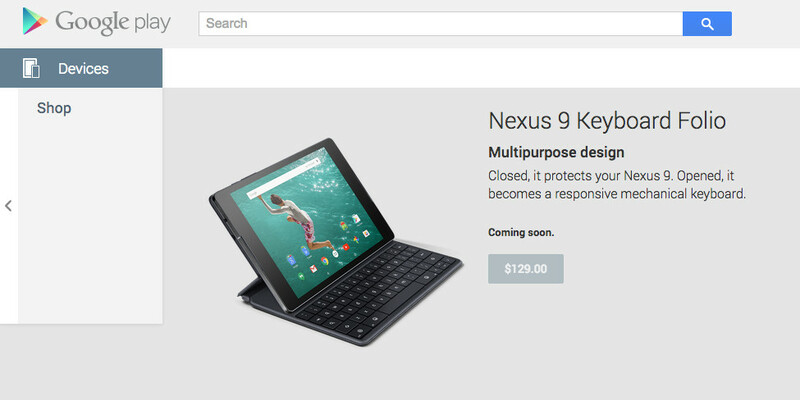 Two official accessories for the HTC Nexus 9 showed up on Google Play today, along with pre-orders for the device. First, we have the Keyboard Folio, an attachable case that protects your Nexus 9 when traveling, but opens up as a full-blown keyboard. It runs $129. Second, we have the official Cover case for the newest Nexus tablet, a case that folds in multiple ways to provide you with different viewing angles. The Cover will be available in four different colors schemes for $39.99.